Our dedicated service team is in the building next door here in Tavares Florida and handle the parts and service for all of the Accu-Cut machines out there in the field. We have to admire the crew that works out in the warehouse, if you could ever see how much time and the extreme amount of hard work they put in to make sure your machine is top notch, we think you would be very impressed. The men and women, who artistically refurbish our machines, take their time to insure that the machine leaves only after it is refurbished to look and run perfect. 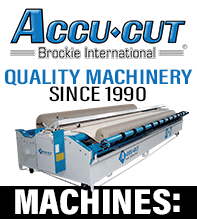 For sales: Call 1-800-ACCU-CUT (222-8288) or email: info@accu-cut.com Outside the U.S. & Canada: Call 352-742-0902.